When you’re putting together a maintenance budget for a home, the rule of thumb is to calculate one dollar for every square foot. When you’re handling maintenance at a commercial facility or industrial site, you should expect to pay several times more than that. Given all the foot traffic and various needs on site, maintenance management is a major factor in how much it costs to run your business. If you want to stay on top of this budget, here are four ways that work order software can help in your maintenance management goals. Ask around to a variety of companies and you’ll find that labor costs are one of the biggest expenses anyone deals with. If you’re tasked with balancing a budget or managing expenses for a company, then you’re going to have to deal with what it means to manage a staff. Scheduling in and of itself can be a challenge, but it becomes more difficult if you have no idea about the amount of work that needs to be done. Armed with the right work order software, you are better able to manage the emergencies any business faces and without having to worry about not having enough people on. With work order software, you can look at the long term trends of any business. You’ll see how many orders are put in, how long it takes to fulfill them, and whether you had the staff you needed at every turn. Spending more on labor costs than you should is an issue your supervisors or superiors are sure to want to call you into their office about. However, if you can correlate how much work is needed to get done at any given point, you’ll be able to back up scheduling decisions. When you have proof to back up your labor costs, you can justify your decision making. When you have work order software that tracks the goings on at your facility, you get the chance to define problems that might end up leading to issues later on. By tracking what’s happening at your site, you’ll begin to see important trends. This information will enable you to predict and address major issues by seeing where things keep happening, which areas you could be overlooking, and devise a strategy to overcome the challenge. If you’re wondering whether one area at your facility keeps having chronic problems, you might not be able to track it without software. With work order software you can see if you’ve got a squeaky wheel who is complaining too much or if you truly have a problem. If you’re able to watch the work orders come in, you’ll know what the situation is. Being able to identify problems with your facility is as important as identifying problems with your staff. If you notice there are issues that keep coming up, where the same person is sent, you might want to look into their ability to do the work You might not be using your staff at their strengths and sending people who are good at plumbing to do electrical work and vice versa. Be sure you’re using everyone on your team at their maximum potential by getting them on top of the issues they need to be on. You might also find out there’s a problem with the quality of the materials or technology being used in the maintenance work. You may find there is a better quality material which could be used and won’t wear down or deteriorate as quickly over time; ultimately saving you money in replacement costs and billable work order time. When you’re in an industry seeing major growth or change, it’s hard to know when it’s time to scale up or down. If you’re doing better, you might see your improved profits as fully positive without being critical of what else it could entail. There are a lot of moving parts with any company so if you’re growing, you need to account for that in a number of different ways. Scaling up is important when your business is growing. If more people are coming into your facility or using your equipment, you’re going to see more repairs. Wear and tear will increase precipitously as your company grows and expands and this is a good thing. If things are slowing down or you’re in the middle of an off-season, it’s hard to know what you should do to respond. While you might not want to get rid of staff or let anyone go, there are ways to mitigate these changes. Scaling down is just as vital as scaling up to preserve the quality of service everyone expects. People need more service as your business expands but you need to preserve your money if your business is contracting. You end up improving communication broadly across your company with the help of work order software. Work orders tell your staff what’s expected of them and let people know what work is in the pipeline. When you have this kind of transparency, there’s no question as to what needs to be done. The more your communication improves across every level, the greater your potential to get work done efficiently. You need everyone to know their role and what you expect of them in order to get the most out of your staff. But, you also need to let the people at your site know what they can expect. The right work order software can afford you the opportunity to let everyone know when work is set to start and when it’s going to be finished. The work you send people out to do can be tracked and monitored while keeping everyone in the loop on progress and expectations. While you’re tracking the work your staff is doing, you can also reward people who’ve done well for the people at your facility. When they jump on work orders and fix things quickly, they should be rewarded. Positive reinforcement builds a stronger work force. 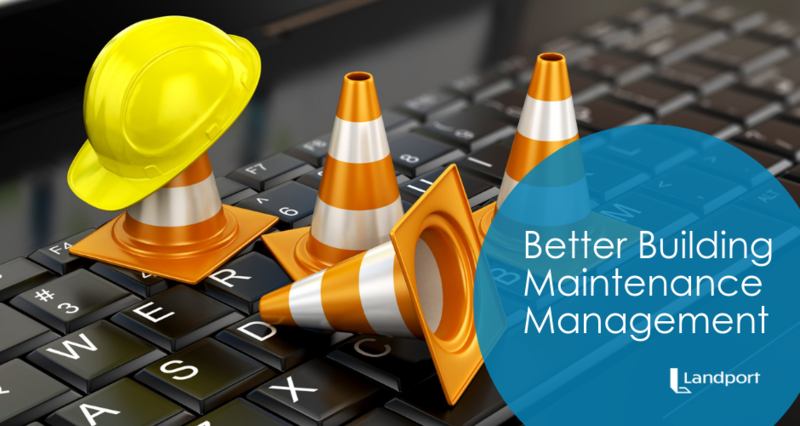 If you’re handling your maintenance management without the right software on your side, you’re going to overspend or under spend. With the help of a powerful but easy-to-use work order software like Landport’s X1 software, you ensure you’re providing the kind of management you need to offer everyone who visits your facilities and sites. If you want to learn more about streamlining work order management, check out our guide for tips. If you’re ready for tour of the software, contact Landport for a FREE demo of the x1 Facility Management Software today.